As I promised attendees of today’s Minnesota Blogger Conference here are my slides. I cover a lot of ground here about migrating from another blogging platform to WordPress but much of the information delivered was verbal. Post any questions or comments here and I will get back to you. 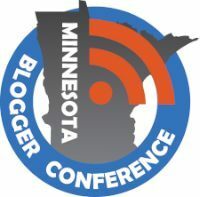 It seems like yesterday I was asked to speak at the 2nd Minnesota Blogger Conference but its been several weeks. The big day is just about 4 days away now so I should get serious about my session on migrating from another blogging platform to WordPress (I plan to cover Blogger, Typepad/Moveable Type, Posterous, Tumblr, Joomla and Drupal). I will also lead an ad hoc Q&A session on WordPress. If you are here in the Twin Cities this Saturday and a blogger, stop by. Last year was a great event and I expect this year to be even better. Complete details are here.